We’ve worked with a few sites recently that use HTTPS to secure certain parts of there site. Some of the pages are SSL protected due to the data captured (pages processing registration or financial information, for example). When using a CDN in conjunction with HTTPS / SSL, customers often find that the CDN product they use lacks an HTTPS endpoint, or the one provided is different from the standard, non-HTTPS one. When a page and all of its assets are served over HTTPS, modern web browsers provide a visual indicator—usually in green or blue. This is designed to provide visitors with the confidence to shop or register on your site. When your HTTPS pages are served with “mixed content” (as it sounds, this is a situation in which HTTPS and HTTP assets are both being loaded on a single page, this indicator does not appear. This could happen for any number of reasons — all beyond the scope of this article — but there’s a simple solution for addressing this with only a few short lines of code. 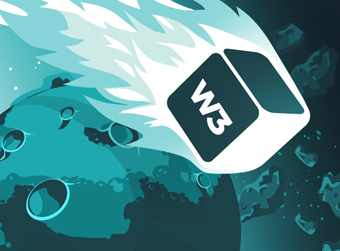 W3 Total Cache ships with documentation (Performance > FAQ) that provides instructions on disabling each of the caching types. Combined with a simple PHP function and WordPress hook, we’re able to conditionally disable the CDN for pages that utilize HTTPS. This of course assumes that you have W3 Total Cache active and that the only assets being served over HTTP are originating from your CDN (otherwise, you might need something like this). When you reload a page being served over HTTPS, you should notice that the familiar green / blue indicator appears in your address bar. Note: we’ve found that MaxCDN‘s SSL support and easy integration with W3 Total Cache provides a solid solution for many customers. This entry was posted on Friday, November 11, 2011, 4:42 PM and is filed under CSS / Markup / Code. You can follow any responses to this entry through the RSS 2.0 feed. Dude this totally helped me out!